Connecting you to the best baby sites on the web. A resource for new and expecting parents on baby/toddler information and products. Looking for a name for your new baby? 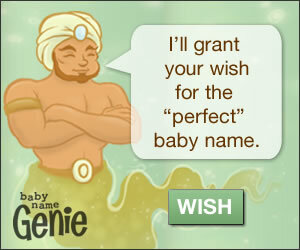 Visit Babies Online to search and browse for the perfect name. Girl baby names with name meanings and origins. Boy and girl baby names by categories, plus other pregnancy services. Helpful tools, articles and advice on preconception, pregnancy and early childhood. Home of the free and unique baby name generator. Etymology and history of first names. Baby Boy and Girl Names from all over the world! Offers an English to Chinese name dictionary. Free Chinese name translation with downloadable names in Chinese symbols. Offers a collection of Indian baby names and their meanings. Search from twenty thousand baby names and get their meanings. An organized directory of Pregnancy Articles and Links. Features baby gifts, designer clothes, diaper bags, nursery furniture, and more. Heirloom quality baby blankets, afghans, crib blankets, infant robes and towels. Features adorable original designer handmade fashions, vintage clothing, blankets and accessories for infants and toddlers. Online kids directory of resource links to kid, entertainment, educational, game, parent, family.